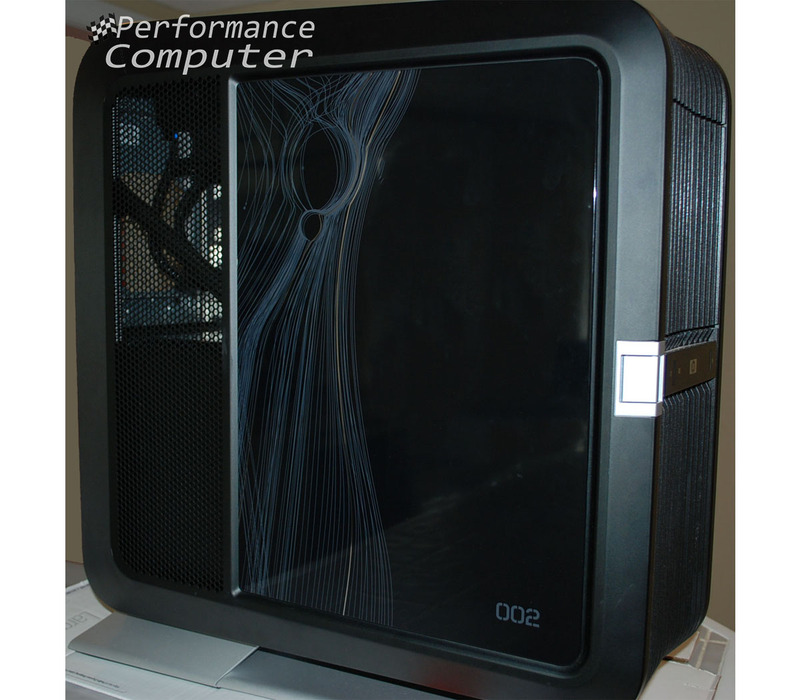 Launched in 2007, the HP Blackbird 002 was the first high-end gaming computer released by HP after they acquired the boutique custom computer builder VoodooPC. Its most impressive feature was easily its exceptional chassis. At the time of its release, there was no other computer case on the market with a design and feature set that was as interesting and unique. The all-aluminum chassis lined with several menacing black fins sits atop a silver cast aluminum foot capable of supporting up to 600 lbs. The Blackbird featured tool-less entry, meaning the side panel could be easily removed by simply lifting it off its hinges without the need for screws, expansion cards could also be added and removed without the need screws via plastic retention clips. 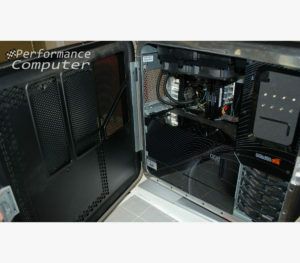 Other unique features included separate thermal chambers for the CPU and GPU(s), hot swappable hard drive bays and it even had its own special servicing tool stored on the case itself. 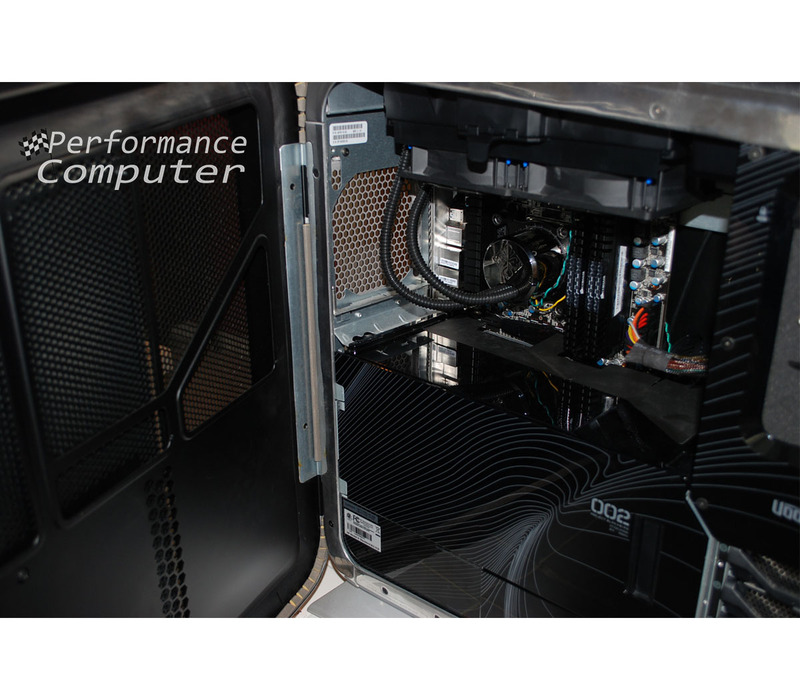 The design wasn’t just for aesthetics, the aluminum fins acted as a massive heatsink while the bottom clearance provided by the foot allowed fresh air to pass through the case and in turn through a custom 240mm AIO liquid cooling unit. AIOs or “all-in-one” liquid cooling loops were just becoming popular when the Blackbird came out and I had to have a liquid cooled Blackbird! Before I purchased my first HP Blackbird, I thought I knew everything there was to know about the case, however upon receiving it I realized that a very important detail had eluded me. In 2012 and still to this day, the only way to purchase a Blackbird case is on eBay. Each year, a few cases are listed for sale, most of which are in less than satisfactory shape and/or missing parts. After several weeks of checking eBay every day for a Blackbird, I noticed 3 were listed for sale by the same seller. They were outfitted with ancient components but the cases themselves appeared to be in good condition. 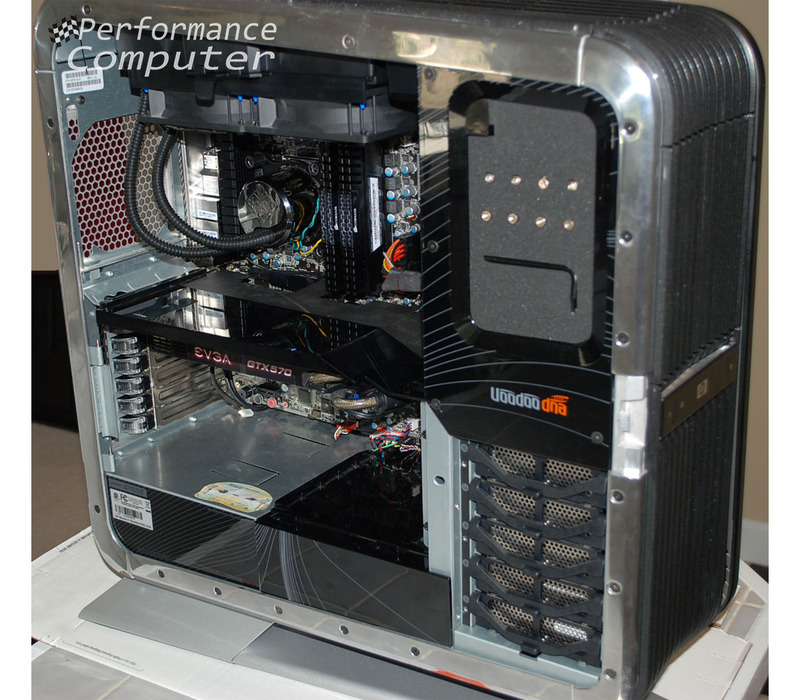 I noticed that there was no liquid cooling system in these units which was disappointing but at the time I needed a reliable desktop for work immediately. I resigned myself to adding a Corsair 240mm AIO unit and purchased a case. I messaged the seller and asked him to send me the best looking one of the bunch. Upon receiving the Blackbird, I felt like a kid on Christmas morning. 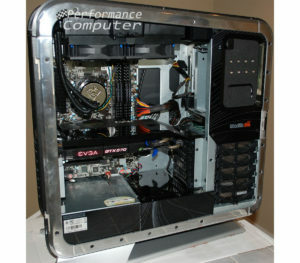 Finally, I was the proud owner of one of these super rare computer cases that I had wanted since I first saw one. The box must have weighed over 70 lbs.! I opened the box and removed the massive bubble wrap cocooning the Blackbird. I proceeded to remove the ancient parts from the Blackbird. Once the motherboard was out, I checked up top to see how I would install the Corsair H100 liquid cooling unit and was shocked to find out there was no liquid cooling mount! 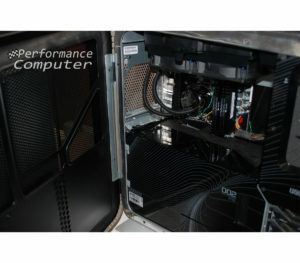 The same plastic housing where the AIOs on other Blackbirds are installed did not have the ability to mount a radiator! I couldn’t believe it. I’d finally gotten what I wanted and couldn’t install the part I wanted to use most. Even worse, there was no way of returning it as the seller did not accept returns. I was very unhappy with my purchase to say the least! It was at this point that I realized what HP had done. When the Blackbird was released, HP sold 3 different versions: air-cooled, CPU liquid cooled and SLI GPU liquid cooled. 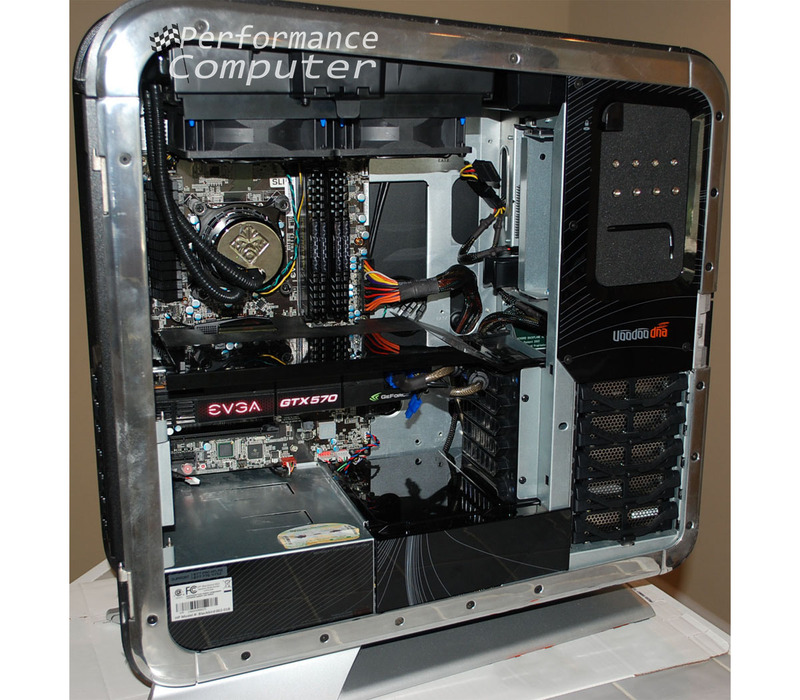 The SLI GPU liquid cooled version was never a possibility for me because the Nvidia 8800 Ultras could not be removed without removing (and losing) the CPU cooler as they were all connected in the same loop without quick disconnects or fittings. When I saw the model I purchased was air-cooled, I thought no problem, I can just add in an AIO myself. I now realized that HP didn’t want customers to purchase the cheaper air-cooled models and install their own AIOs, so they blocked off radiator access up top. Talk about an annoying inconvenience. 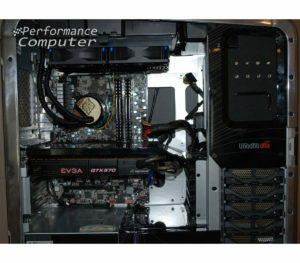 There was no way I was going to build the computer without a proper liquid cooling system, so I stalked eBay until someone else listed a Blackbird which had the CPU only liquid cooling unit. The case itself had some physical damage but I didn’t care as I planned to remove my air-cooling specific housing and swap it with the liquid cooled version. I purchased the 2nd Blackbird and transferred the liquid cooling unit to the 1st one. Fortunately, I didn’t lose money as I sold the 2nd Blackbird now outfitted with the air-cooling housing. I was finally ready to purchase my components and begin the build process. 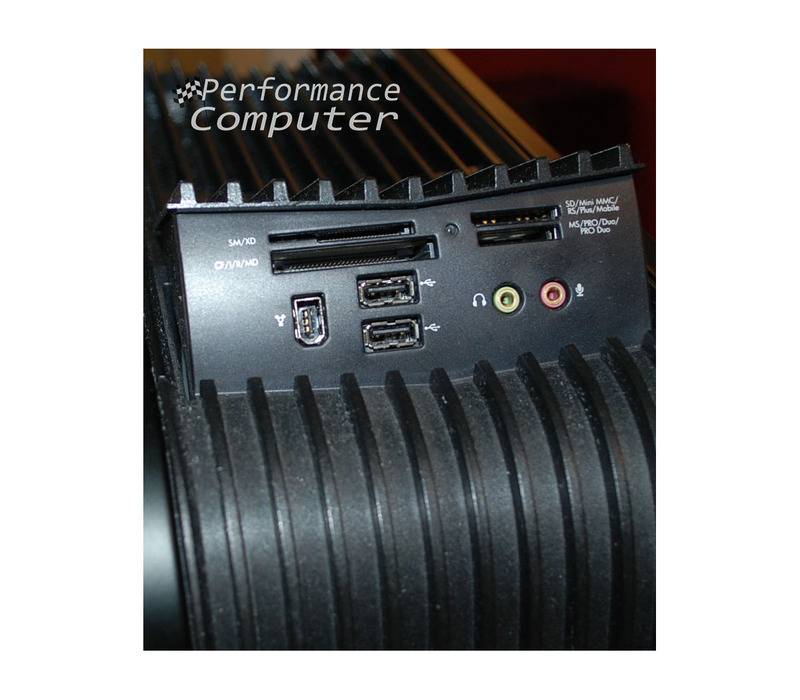 This build log is for a productivity machine which would primarily be used for website production, photo editing, application development and occasional gaming. I chose the best non-overclockable quad core consumer Intel processor, the Intel Core i7-2600. 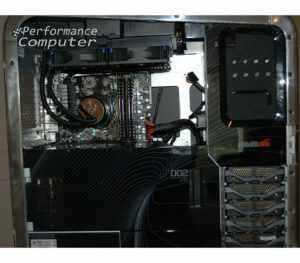 It was of course cooled by the custom Asetek LCLC 240mm AIO liquid cooling unit obtained from the 2nd Blackbird. 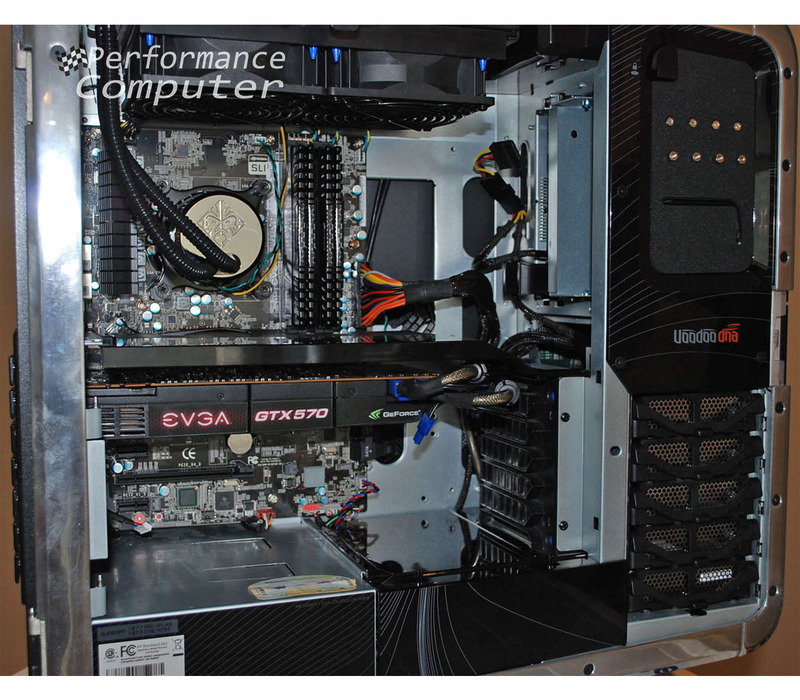 I paired the i7-2600 with an EVGA Z68 SLI motherboard which had proper support for the rest of my hardware as well as the I/O ports on the Blackbird. Storage wise I chose a 120GB Corsair Force 3 SSD. I was slightly concerned that I might not be able to take advantage of the full speed of my new SATA III SSD. The Blackbird case has 5 hot-swappable hard drive bays which allow you to easily add in 3.5” drives by simply popping them into the included caddies and sliding them in to their bay with no wires or screws. This was quite convenient and yet another feature that made the Blackbird special. 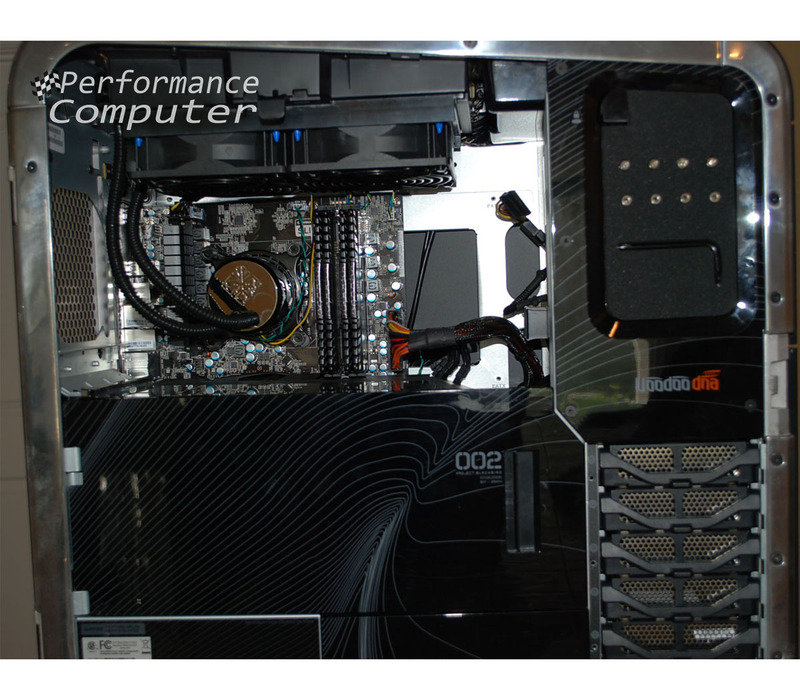 This was accomplished using a proprietary circuit board behind the hard drive bays that had the SATA power and data connections. I was able to circumvent the 3.5” drive requirement by installing my 2.5” SSD in a Western Digital IcePack (a mounting frame with heatsink). At the time of my build however, there was no definitive evidence that the circuit board in the hard drive cage would support the new SATA III speeds. However, upon installing my SSD and running some benchmarks, I verified that the drive was operating at full speed. For the rest of my files, I used a 500GB Seagate BarraCuda hard drive that came with the 2nd Blackbird. I knew I’d be multitasking and would have several programs running simultaneously, so I loaded up on memory with 16GB (4 x 4GB) of Corsair Vengeance DDR3 RAM. 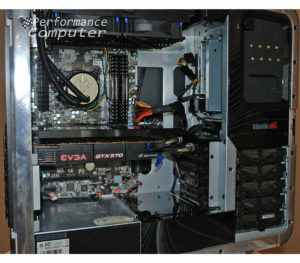 On the graphics end I chose an EVGA GTX 570. EVGA had great GPU designs for their Nvidia 500-series cards and their warranty and customer support had an excellent track record should I ever need to RMA my card. The GTX 570 was more than powerful enough to easily drive my 24” Samsung T240HD monitor at its native 1920 x 1200 resolution. A slim-slot DVD-RW optical drive was included with the Blackbird, however it was an IDE drive. Adapters existed to convert IDE drives to SATA so I purchased and installed one I found on eBay, but the piece of garbage fried as soon as I turned on my PC. I ended up populating the empty 5.25” drive bay with a DVD-RW drive I had laying around. Everything was powered by a fully modular 1100W Topower PowerBird power supply that came with the 1st Blackbird. Coming from an HP laptop with a dual core processor and a 5400 RPM hard drive, my new PC was a massive improvement to say the least! Thanks to the SSD, the computer booted into Windows 7 much more quickly, programs opened immediately, and overall system responsiveness was markedly better. Back in those days I didn’t care about overclocking, so I didn’t even bother to get the K-series version of my processor. However, looking back, I wish I’d purchased the i7-2600K, so I could have fully utilized the 240mm liquid cooling unit to get as much performance as I could out of the CPU. My work programs (Dreamweaver, Photoshop, Acrobat, Microsoft Office) were very responsive and I never experienced any hanging or freezing which seemed to plague my now retired laptop. I didn’t pay much attention to frame rates in games, so I can’t say what I achieved with the GTX 570, but I do remember that it seemed to handle every game I threw at it before I upgraded to an EVGA GTX 760. The HP Blackbird was a terrific case and I’m glad I had the opportunity to build in it after coveting one for years. If you can find one on eBay for the right amount of money, you won’t regret buying it. 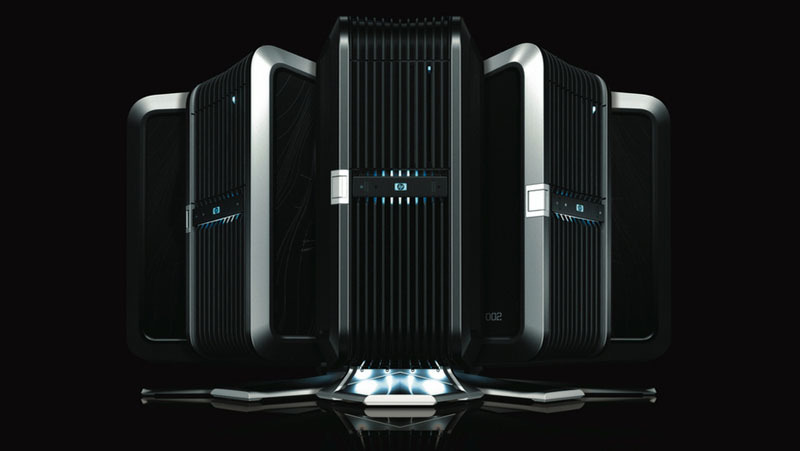 Its eye-catching design and ultra-rare status (roughly 5,000 were made) will make it a sought-after collector’s item, just make sure you check to make sure you don’t buy an air-cooled model if you plan on liquid cooling your PC!